For those with a lot of patience and real estate expertise, short sales can represent a tremendous opportunity to obtain a property at a market-bottom price. However, many buyers are often unaware of just how tough short sales can be. Let’s start with the basics. A short sale starts when the seller of a property finds themselves in a situation where they can no longer afford to make payments on their primary residence and the value of the residence is less than what is owed on the property. Sellers in this predicament are left with two unattractive options: (1) foreclosure; and (2) consult with their lender(s) regarding a short sale. There are advantages to both. In a foreclosure action the seller can basically stop making payments and let the property go to foreclosure. This is usually a four month procedure once the Notice of Default is filed. The benefit to the seller is that the seller can basically live in the house rent-free for up to four months and save their mortgage payments. The downside to a foreclosure is it that will most likely devestate the seller’s credit rating. A short sale action can sometimes limit the negative effect on a seller’s credit rating. Essentially, the seller contacts their mortgage bank and states that they cannot continue to make payments on their mortgage because of serious financial distress. The seller then asks the bank to consider a short sale. A short sale generally lists the property, which is underwater in value, on the market at the prevailing market rate. The bank then can decide whether to accept a prospective offer or reject it. Why would a bank consider taking such a loss? In California, loans which are used to purchase a buyer’s primary residence are subject to anti-deficiency judgment statutes which prohibit the lending bank from collecting any amount that is deficient from the sale as it relates to the total amount loaned. During a short sale, the bank is simply looking to cut its losses. Of course, the bank can refuse the short sale and simply foreclose on the property. This will depend on the proposed purchase price from the prospective buyer and overall market conditions. A short sale does have some benefits for the bank as well. First, the bank never has to take ownership of the property as they do in a foreclosure. Second, the bank saves the legal and administrative costs of the foreclosure process. Finally, if it is conducted correctly, a short sale can make better financial sense for the bank. So, why are short sales so difficult to perfect? There are many reasons. First, banks are completely overwhelmed right now with short sales. Banks which traditionally funded credit lines are especially backed up. Many of these credit lines offered by banks went out as far as 90 or 95% of the value of the property during times of peak property values. These banks are in second position in terms of being paid from the proceeds of the sale, with the traditional 80% mortgagor getting paid first. Most banks are taking an average of 30 to 45 days to even give an initial response to an offer. Second, if you do not have a seller who is extremely organized, the odds of completing the short sale go down even further. During a short sale banks have many documents that they require from the seller and listing agent. These documents are put together in an organized package and shipped off to the bank. If even one item is out of place the bank will simply reject it. Third, even after the entire process is completed the bank looks at the offer and they may come back with terms that are far different than what the buyer and seller had agreed to. The most common items that the bank will counter with are (1) price; (2) length of escrow; and (3) financing items. Many buyers end up being blindsided by the fact that their supposedly “accepted” offer by the seller can be re-negotiated by the bank. We have not had many short sales and bank owned property sales in San Carlos, thus many San Carlos buyers and sellers are not fully aware of the benefits and ramifications of both. 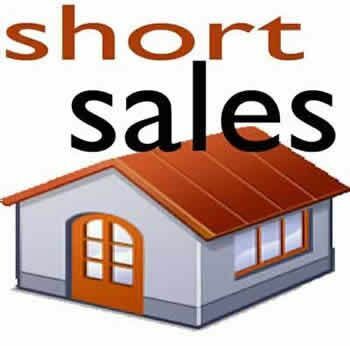 Short sales are highly complex transactions which require the expertise of an attorney or a very well qualified real estate agent. This article only summarizes part of the process. If you are considering selling your home in a short sale or foreclosure action I would highly advise you to meet with an expert so that you can find the solution that is best for your unique situation. 2. in my humble opinion, the best buys for a buyer are found once the bank foreclosures and the property becomes an REO. i have seen numerous examples of where a lender has turned down a short sale offer at say X, then foreeclosed and then put the property on the market at X-$50,000 or X-$100,000. with an REO a buyer will often be in a multiple offer situation but at least he/ashe will get an answer within about 3 days. 3. i have heard of statistics that in San Mateo County only 1 out of 10 short sales actually get approved and closed. so as a buyer put the offer out there – keep looking for other property and who knows 2 to 3 months down the road you might get a positive response. 4. i recently represented a buyer on a potential short sale purchase. the accepted offer was $810,000. after waiting 2 months, the lender came back and said they wanted $945,000. ABSURD – the property sold for about $970,000 at the peak of the market. After 2 months, the idiot lender comes back to us after determining that the fair market value of the property is about 3% below the price paid at the peak. the lender could have stopped any person on the street and asked “do you think the market has only dropped 3% from the peak?” EVERYONE knows values in our area are maybe down 15% from the peak. Why did it take the lender 2 months to come up with a ridiculous response. Bob is right – short sales are typically a long and frustrating process – one might get lucky – but my advice is to find an REO. I have a question: What if during my wait for my shortsale offer, the market goes down further? I made a short sale offer 4 month ago. It is still waiting. After I made the offering, the market goes down further, and we also found out the house is actually 200 square feet smaller than what it claims, also . Now I feel the price we offered is not a good deal any more. I guess the appraisal value of the house now is even lower than our offer price. I still like the house, and haven’t found other good house either. So we do not want to simply walk away. But I’m wondering, is there any possible way that we can re-negotiate the price, after the bank accepted our price?